Sarasota Dentistry » Blog » How do Multiple Teeth Dental Implants work? If you are missing more than one tooth, Dr. Hank D. Michael can restore the beauty and function of your smile with a multiple teeth dental implants procedure. This advanced treatment can permanently replace multiple missing teeth, restore your healthy bite, and prevent jawbone atrophy. Dr. Michael offers highly personalized care designed to provide maximum benefits possible using multiple tooth dental implants. To learn more about multiple teeth dental implants, schedule an appointment with your Sarasota dentist today. Dr. Michael will work meticulously when planning your dental implants procedure. He uses a computer-guided implants system to ensure the most effective treatment possible. With our advanced 3-D x-rays (CBCT), he can obtain a detailed image of your jawbone. In this way, he can look for areas of jawbone recession, and can create a special surgical guide to use during your procedure. If necessary, he may recommend a preparatory treatment such as bone grafting. Before the procedure itself, you will receive local anesthesia. 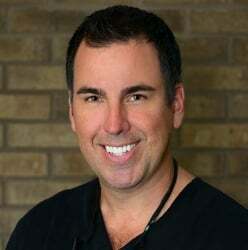 In most cases, Dr. Michael will also recommend sedation to keep you relaxed during your treatment. Using your individually crafted surgical guide, he will carefully place several implant posts in your jawbone. The exact number of posts will depend on the number of teeth missing and the size of your restoration. Typically, in cases of multiple damaged or missing teeth, he will place two implants to support a dental bridge. Once the implants are placed, you will need to wait several months for the bone to fuse to the implant. When you have fully recovered, Dr. Michael will attach your custom-created restoration. In some cases, it may also be possible to place immediate restorations. During this procedure, bone and platelet grafting is performed after the teeth extraction has taken place. Implants are then placed in the jawbone, and temporary restorations are fitted. In several months, you will return to receive your final restoration. If you are missing two or more adjacent teeth, multiple teeth implants may be a great treatment option. Many times, Dr. Michael will recommend this treatment after you have undergone tooth extraction. The procedure can also be a good solution if you are looking for a more lifelike replacement for your removable dental bridge or dentures. To qualify for implants, you must have enough jawbone density to support the posts. Since jawbone recession is a common consequence of tooth loss, Dr. Michael may recommend a bone grafting procedure before beginning the implant procedure. Using donor tissue, he can augment your jaw to create a foundation for your implants. Additionally, as an implants candidate, you should enjoy good overall oral health. Why Choose Multiple Teeth Implants? Multiple teeth dental implants are a great option for several reasons. First, implants play a vital role in restoring the natural beauty of your smile. Your new implant bridge will be custom-fabricated to blend with your smile, and it will sit directly on your gum line. Second, implants are the most stable restorative solution. They will never allow your bridge to slip out of place, so you can enjoy all the foods you love. Finally, implants have important benefits for your oral health. These restorations can prevent jawbone degeneration, a changing facial structure, and further tooth loss. They also require no alteration to your surrounding teeth. Sarasota Dentistry is committed to helping patients restore their smiles and their confidence. Dr. Hank believes that everyone should be able to be proud of their smile. If you are struggling with the appearance of your smile, or you think dental implants may help you, reach out to us and ask. We’re happy to help.